What’s the best way to enjoy this gorgeous summer weather? A girl’s night on the deck of course! 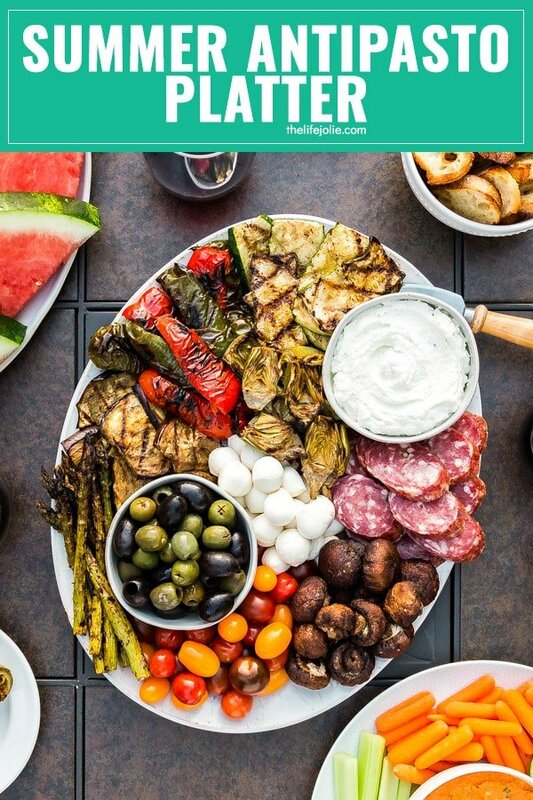 So grab your best girlfriends and enjoy this Summer Antipasto Platter! 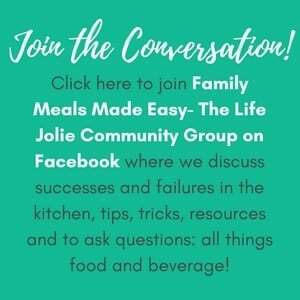 Thank you Middle Sister for sponsoring this post. Bring your favorite Middle Sister wine along to all of your celebrations this year! …And just like that, Mother Nature flipped a switch and ushered in that gorgeous, summer weather we’ve all been waiting for. Never mind the fact that she basically skipped right over spring. I’ll let that one slide because I am so ready for some sunshine! 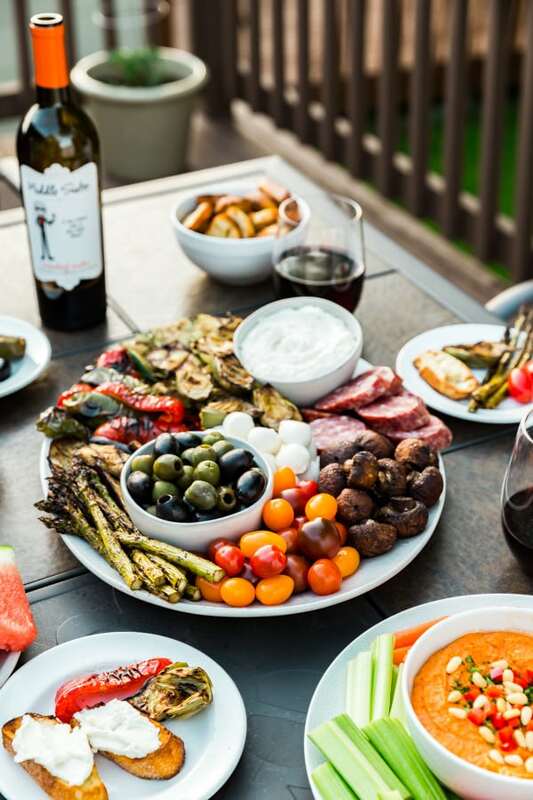 One of my favorite things about summer is being able to sit out on our back deck with a nice glass of wine and some tasty food with my girlfriends. There’s generally a ton of laughter involved and some of my favorite memories involve these laid back, fun times. We all love to enjoy a bottle of great wine, which is why I’m so excited to tell you about Middle Sister Wines. 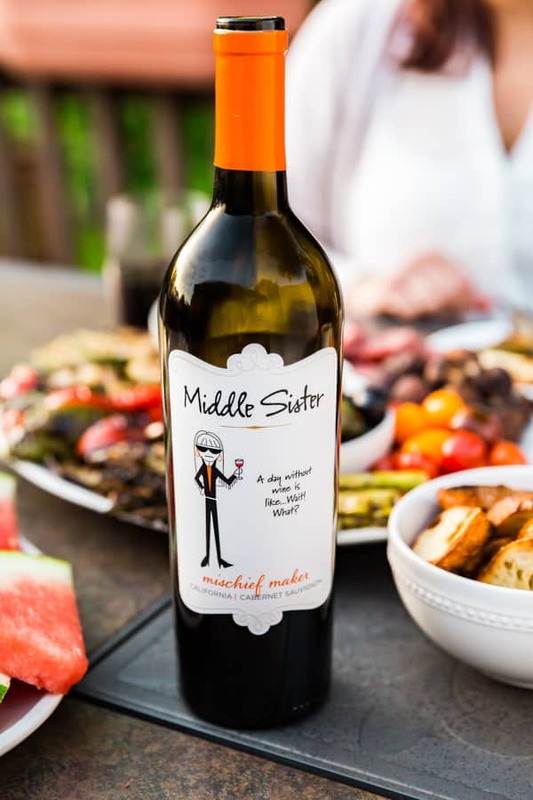 Middle Sister wines were created 10 years ago by the founding women of the Wine Sisterhood. Founder Terry Wheatley was fascinated by her best friend’s middle daughter, Erin. From childhood, she was just more outrageous, more free-spirited and simply larger than life. Terry created Middle Sister wines for middle sisters everywhere, so they finally get the attention they deserve. Middle Sister wines are also proud to support Causes women care about, including Sonoma Valley Wine Business Executive MBA Scholarship for women in the wine industry, Angels Share and Heart of the Vine. I love a good antipasto salad at any time of the year. They’re generally super easy to assemble and I love that there’s something for everyone to enjoy. Basically, they’re the perfect throw-together option for a girls night with Middle Sister wines on the back deck! 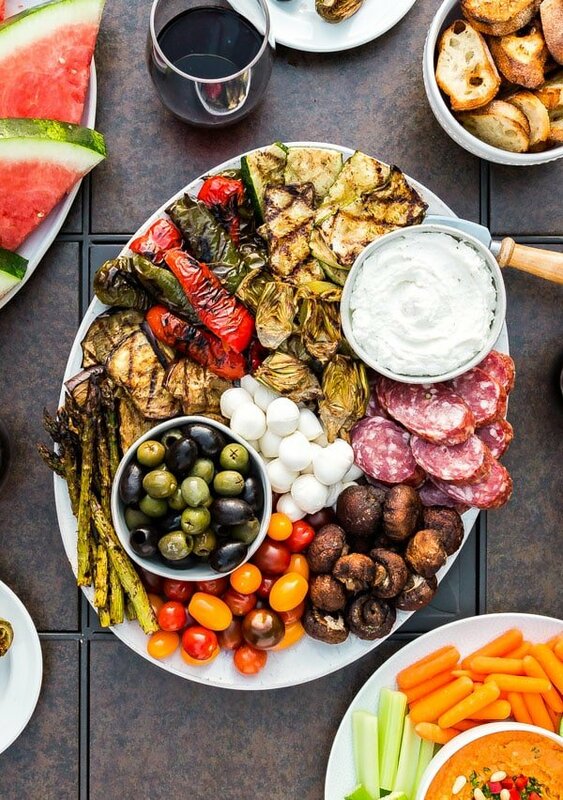 And being that I am in full-on summer mode, I thought it would be fun to keep the summer theme going by incorporating it into my antipasti platter. 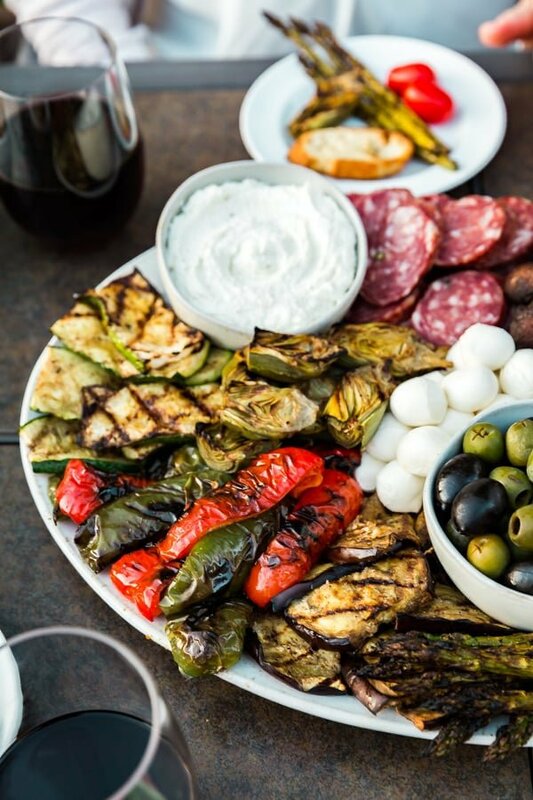 Grilling was a natural next step, so I included lots of fresh and seasonal vegetables along with some light cheeses, soppressata, olives and plenty of fresh grilled baguette. 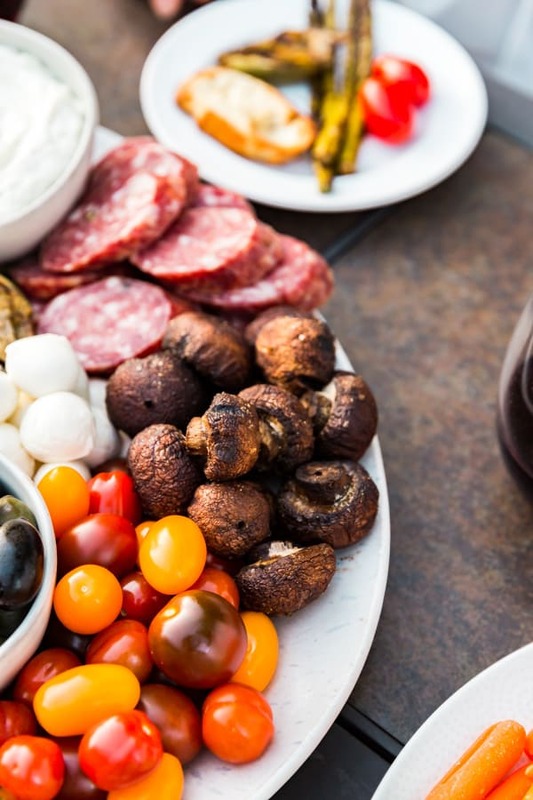 Antipasto means “before the meal” in Italian. It is traditionally the first course in a formal Italian meal. Typically, it will consist of things like olives, cheeses, meats, marinated vegetables…even anchovies! The great thing is, you can totally take it in whatever direction you want and substitute ingredients based on your own personal tastes and preferences. You can totally grill the vegetables ahead of time. In my opinion, they’re at their very best served right away, but it’s always nice to have options. Make the plate pretty! 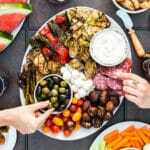 This kind of appetizer lends itself as a gorgeous centerpiece for a summer girl’s night and you don’t have to be a food stylist to make it look pretty. Pick the right platter. Not only do you want it to be big enough, but this is also a great opportunity to showcase your serveware. Even a gorgeous cutting board is a fun option! Get some great bread! Girl’s nights are the best times to indulge. Get some awesome and fresh baguette, drizzle it with a little olive oil and grill it up a bit for extra-delicious flavor and crunch. Don’t forget the wine! 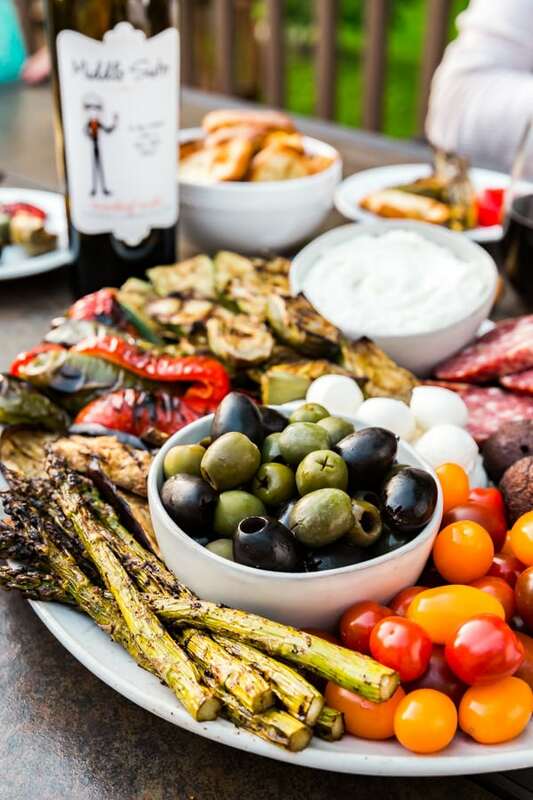 Middle Sister Wines are the perfect options to pair with a summer antipasto platter. 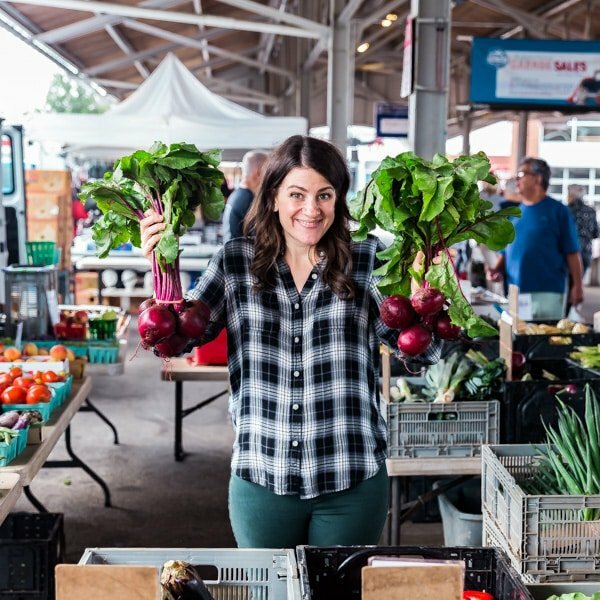 There are 6 different varieties, so you’ll have something for everyone! What's the best way to enjoy this gorgeous summer weather? A girl's night on the deck of course! 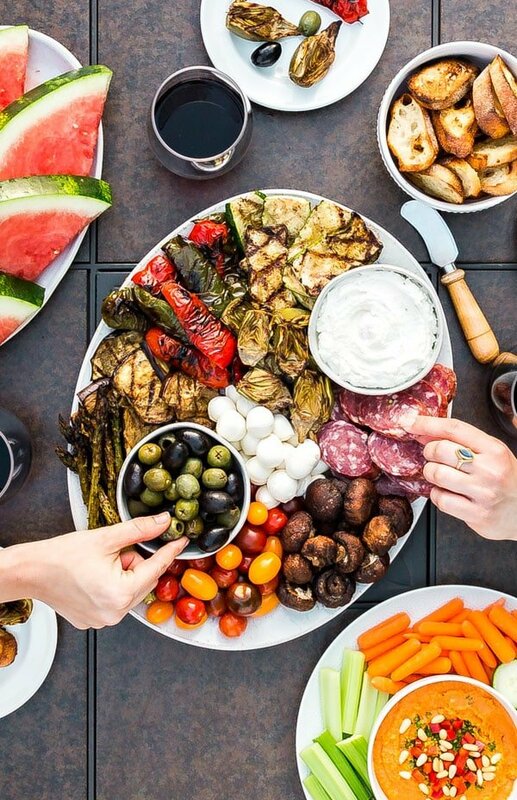 So grab your best girlfriends and enjoy this Summer Antipasto Platter! Using a very sharp knife, slice off the top of each baby artichoke. Remove the outer leaves until you get to the more tender, lighter green leaves. Gently shave off the outer layer of the stem and trim the tip. Boil the artichoke halves and lemon for 10-15 minutes prior to grilling. Slice the eggplant to around 1/3 of an inch length-wise. Sprinkle with kosher salt and let them sit for 10-15 minutes on a paper towel lined plate (to pull out the moisture). Use more paper towel to blot the extra water off the eggplant. Preheat the grill to medium high and spray with olive oil. Drizzle all veggies with olive oil and season to taste with salt, pepper and garlic powder. Place the ingredients onto a large platter or cutting board, sectioned off by ingredient. I used bowls for the olives and whipped ricotta to add visual interest and keep them together. 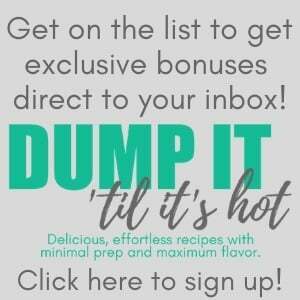 Please find the recipe for Grilled Balsamic Asparagus. Please find the recipe for Whipped Ricotta.